Aurora wakes up from a kiss after a century and is to marry Prince Rodric so that the land of Alyssinia can prosper again. Unwilling to do so, Aurora tries to accept her fate. Tristan, a bartender Aurora met in the city, is working against the kingdom by trying to kill the king. He asks Aurora to be his ally. She refuses. Prince Finnegan of Vanhelm also asks her to side with him and she refuses him, as well. On the day of her engagement, she tries to blow up the prince in her fury. Aurora has magic. Celestine is alive and well and tells Aurora that since Aurora has magic, they should work together. Celestine would teach her how to control her magic in exchange for having some of it for herself. Aurora doesn’t want anything to do with her. 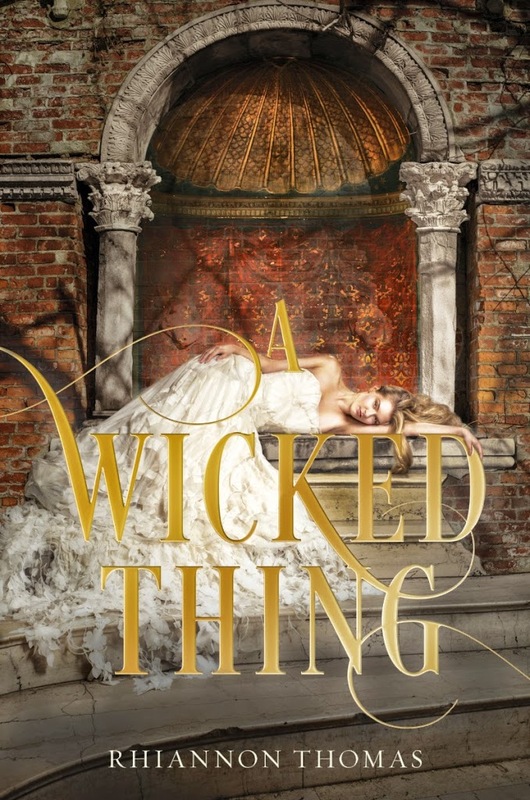 When Isabelle, Prince Rodrics’s younger sister, dies eating the poisoned food meant for Aurora, she realizes that it was the king’s dirty work. On the day of the wedding, Celestine catches in her attempt to flee and Aurora lets Celestine take some of her magic. Aurora then flees the city through the forest. A hundred and two years after she fell asleep, Aurora wakes up with a kiss from Prince Rodric. They both go downstairs to meet the people of Alyssinia who cheer and celebrate especially King John the Third and Queen Iris of Falreach. Aurora is very shaken because she feels like she fell asleep yesterday but a century has passed, her parents are dead and bad luck has befallen on Alyssinia ever since. Queen Iris is quick to warn her to comply with them for her own protection. Aurora has dinner with Prince Rodric who seems awkward but kind and keep talking about how their true love will prosper Alyssinia. The wedding is set to take place in three weeks which makes Aurora feel more trapped than ever. That night, Aurora unlocks her door, goes out of the palace from the escape route in her tower and goes into a bar enchanted by the music playing inside. There she meets Tristan, a bartender, and feels a connection to him. Prince Finnegan of Vanhelm arrives to meet Aurora and in a private meeting, asks her to consider going away to Vanhelm with him. On the fourth night with Tristan, he tells her that he knows who she is and wants Aurora to help him kill the king as he’s part of a rebellion. Her maid, Betsy, eventually informs the queen after warning Aurora a couple of times since Aurora is unable to lock her door after slipping back in. The queen warns Aurora to not resist and tightens her security. Meanwhile, Aurora’s meetings with Prince Rodric are mostly dull and awkward with him taking her to the queen’s gardens and to meet Isabelle, his younger sister. On the day of the engagement banquet, Tristan and his allies put small explosions to disrupt the ceremony. Aurora is wounded after she stops a guard from harming a girl. Rodric tries to stop her, but Aurora’s hate for him sets off an explosion around him. He jumps back in time and isn’t harmed. That night Celestine beckons Aurora and tells her that she’d teach Aurora how to control her magic in exchange for getting some of it for herself. Aurora tries to light a candle on her own and what makes the candle burn is her anger fueling her magic. She scorches her hands. Prince Finnegan takes her to the dungeons at night to show her how the kings kills everyone who dare rebel against him. There she sees Tristan getting away after freeing his allies. The next day, Prince Finnegan tricks her into admitting she has magic. During the banquet, two days before the wedding, Aurora unknowingly feeds Isabelle the poisoned dessert meant for her and Isabelle dies. Tristan sends her a note to come meet him and declines his involvement in poisoning her food. Aurora ignores it. The next day, the king summons her and tells her she’s under suspicion for being involved in the plot that killed Isabelle and has her watched even more closely. Locked up in the tower, Aurora realizes that it was the king who wants her dead. A day before she is to be married, Aurora calls Prince Finnegan to her chambers and asks her to distract the guards as she flees the altar because she wants to show the king that she can. He agrees. In the square the next day, Aurora makes a speech about how the wedding won’t change anything and that she’s leaving until she knows what the right thing to do is. The king holds a dagger to Aurora’s throat but Rodric kicks the king to stop him. Not missing her chance to get away, Aurora runs and anyone who tries to stop her is knocked back from the magic. Celestine arrives and asks her to give some of the magic to her in return for information about how she knew her mother. Aurora agrees and Celestine tells her that her mother came to her asking to help her have a child and then betrayed her. After taking some of her magic, Celestine asks Aurora to work with her but Aurora isn’t willing. Aurora flees the city via an old drainage tunnel located in the western edge of the city and arrives in the forest, her instincts telling her that something awaits her beyond the trees.